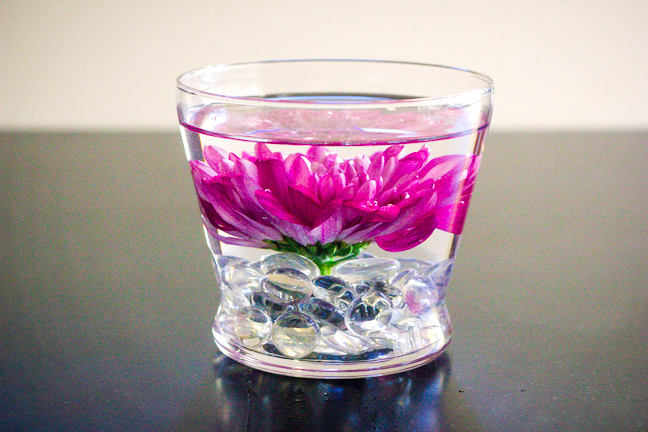 Instead of just displaying flowers in a large vase, I like to take the time to make some creative submerged flower arrangements. 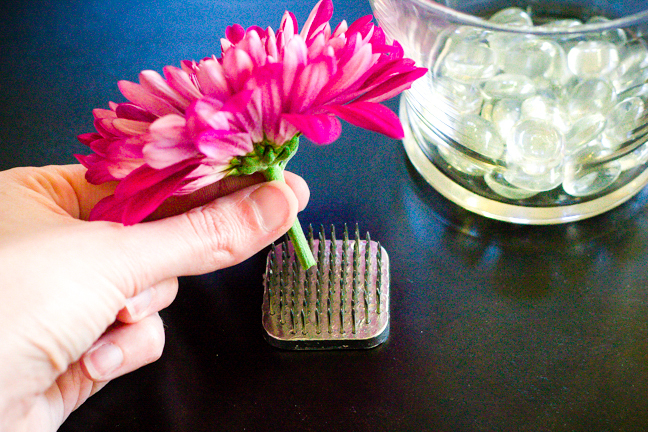 It’s the perfect way to highlight flowers and is ideal for anyone who might be sneezing with spring allergies. I save a bunch of money on flowers this way when I’m trying to decorate the house for Easter. I just buy one bouquet and split it up into a bunch of vases and glasses and it covers almost every room in the house. 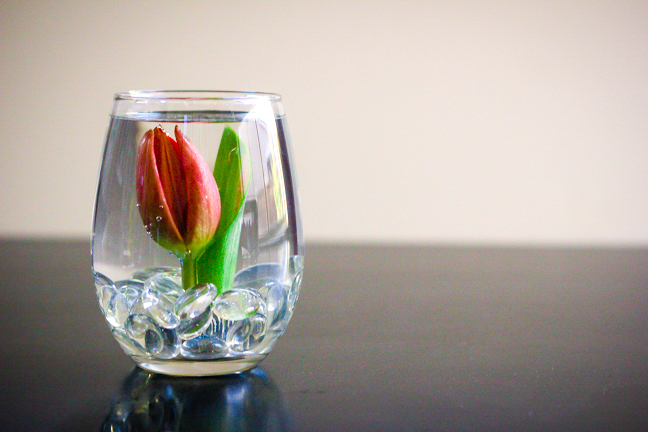 Step 1: Choose a glass and a flower frog/kenzen that will fit inside. 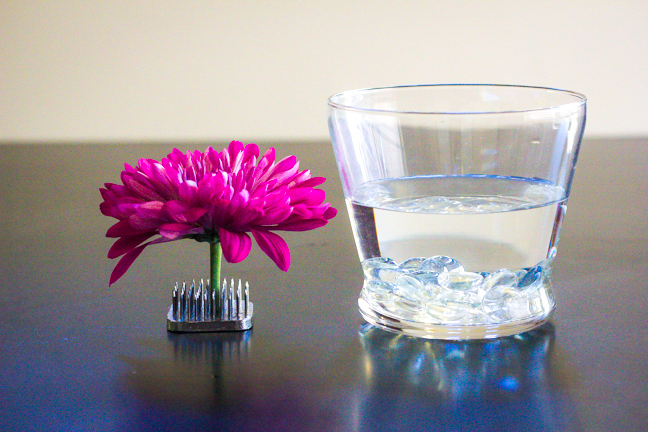 Cut your flower stem so that it will fit inside the glass with room above. 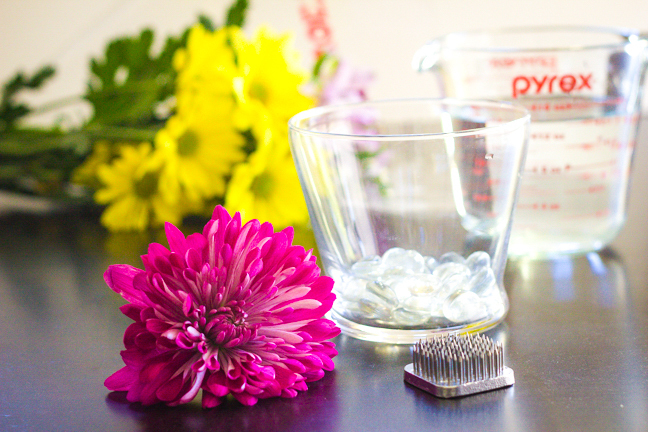 Step 2: Place flower(s) on flower frog/kenzen and make sure it is secure. 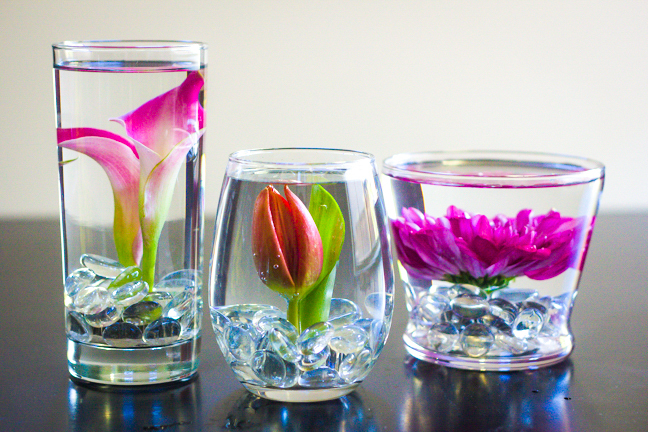 Fill your vase with glass gems and add water halfway. Step 3: Create a small area in the center for the flower frog/kenzen using a butter knife. 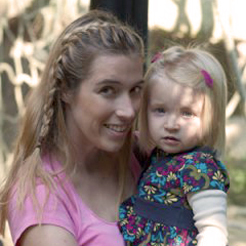 Gently place the flower arrangement in the vase. 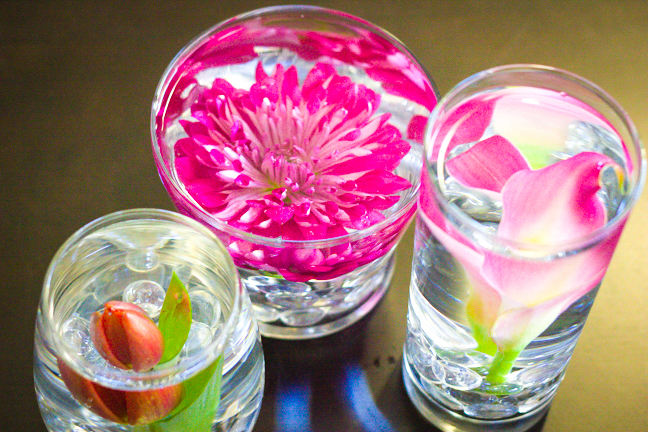 Arrange the glass beads to hide the appearance of the flower frog/kenzen. Step 4: Move the arrangement to its final sitting spot. 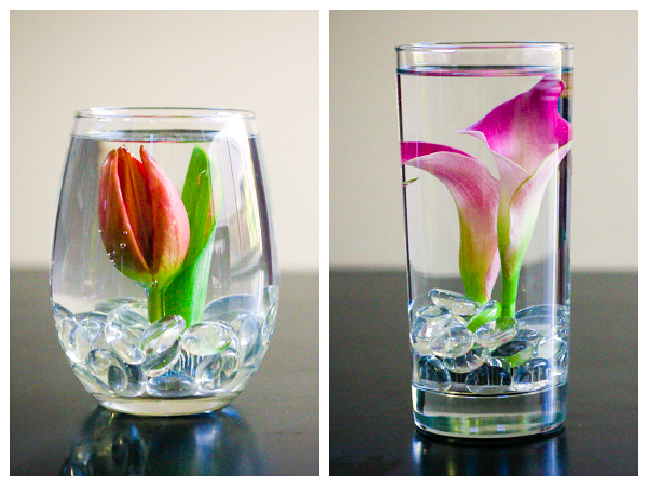 Fill the vase with enough water to completely cover the flower. 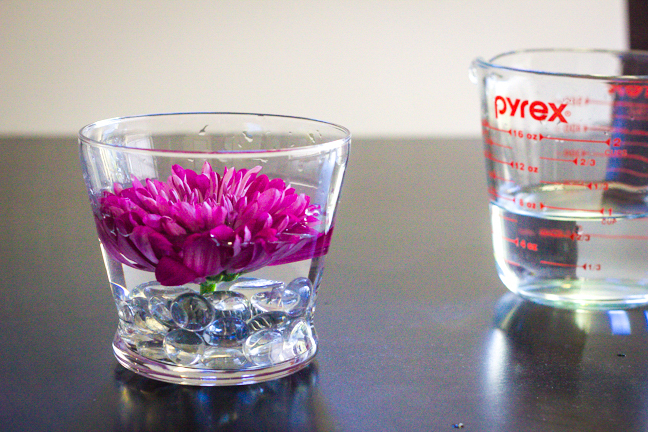 Step 5: Add anywhere from 1 teaspoon to a cap of bleach (depending on the size of your vase) to keep your flowers fresh underwater. Enjoy your arrangement(s) all around the house.